Following the recent £8.4m contract win from the European Space Agency, Goonhilly Earth Station Ltd has secured its second phase investment of £24m. Joining the growing club of billionaires such as Elon Musk, Jeff Bezos, Richard Branson and Greg Wyler who have demonstrated their passion for the high-growth space sector, UK businessman Peter Hargreaves, founder of leading finance and investment services company Hargreaves Lansdown, is investing the money, taking a stake in the iconic Goonhilly Earth Station Ltd in Cornwall, whose rich 56-year history of achievement in satellite communications is matched by an ambitious future-looking roadmap. Since 2014 Goonhilly Earth Station has been owned by Goonhilly Earth Station Ltd. (GES), a privately held company founded by technology entrepreneur Ian Jones. Jones had spotted an opportunity to create a dynamic communications hub with diverse revenue streams, so he set about building the company from the ground up. Since acquiring the facility from BT, GES has invested £5 million in comprehensively rejuvenating the site, whose heritage includes playing a pivotal role in many of the global communications industry’s technical firsts. As a result of this modernisation, Goonhilly has seen a major resurgence and has driven many new-era space exploration and commercial communications projects forward for a wide diversity of customers. “We initially agreed to lease some of the antennas from BT in 2011 with an option to acquire the whole site if we could generate enough business. Within three years we had profitable business and a first round investor on board enabling us to buy the site. From there, we’ve gone from strength to strength,” said Jones. Goonhilly now provides spacecraft tracking and monitoring services to many of the world’s largest satellite operators. The company recently announced an £8.4m contract with the European Space Agency (ESA) which will see it become the first private operator in the global Deep Space communication network and this new private investment will allow it to expand further to create its own fully independent, global Deep Space Network. The ambitions don’t stop there. Working with Surrey Satellite Technology Ltd and ESA, the company plans a privately funded mission to the Moon, providing communication relay and navigation services to other lunar missions. For Hargreaves, with an uncanny knack of spotting high growth investment opportunities, this is an ideal addition to his investment portfolio. 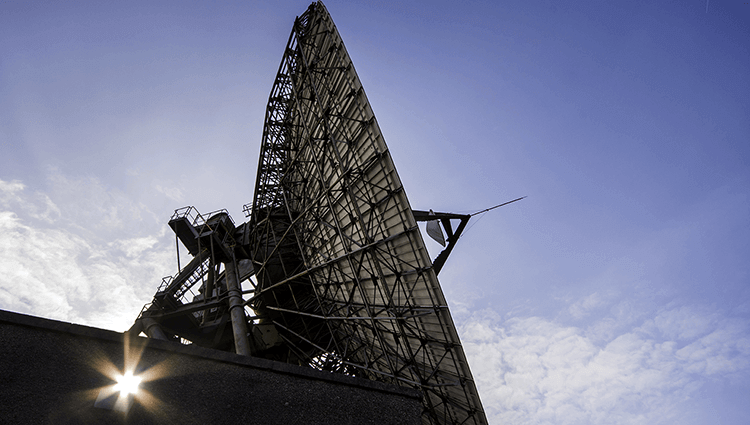 “The team at Goonhilly have been delivering on an insightful vision which has already propelled them to the key position in this expanding market. I wanted to add my backing to ensure they can realise their bold plans to be the recognised leader in the field,” he says. As part of its high-growth strategy, Goonhilly is an Enterprise Zone, supporting a technology cluster and hosting other companies. Cornwall is incredibly well served with fibre optic cables with transmission reach to all parts of the world. The infrastructure at Goonhilly allows anyone based there to tap into this network to access highly reliable data and satellite services. Goonhilly is also a key part of the UK’s ambitions to site Europe’s first Spaceport at Cornwall’s Newquay airport. If successful, Goonhilly would provide tracking and mission control services to a broad range of participants in the emerging low earth orbit satellite economy. Jones said, “Peter’s involvement is perfect timing as it allows us to realise our plans to grow parallel, but highly connected, revenue streams. We are breaking new ground in developing a private global deep space network at the same time as pushing the technology and service boundaries in other parts of the business. “The ‘new space’ entrepreneurs are all about changing the model of how the space industry works, shattering previously entrenched practices and replacing them with new models of high productivity, workforce energy and embracing technology. This leads to much better solutions for our customers. Peter’s strategic thinking coupled with his financial backing will help to propel Goonhilly to new heights,” Jones added.